Click Networks understands today’s cyber threats and focuses on delivering security solutions that protect your targeted critical assets. Partnering with leading vendors we secure your data, applications, users and infrastructure. Click Networks delivers solutions to increase the effectiveness of security operations, ensuring cyber events are detected, responded to and remediated efficiently. 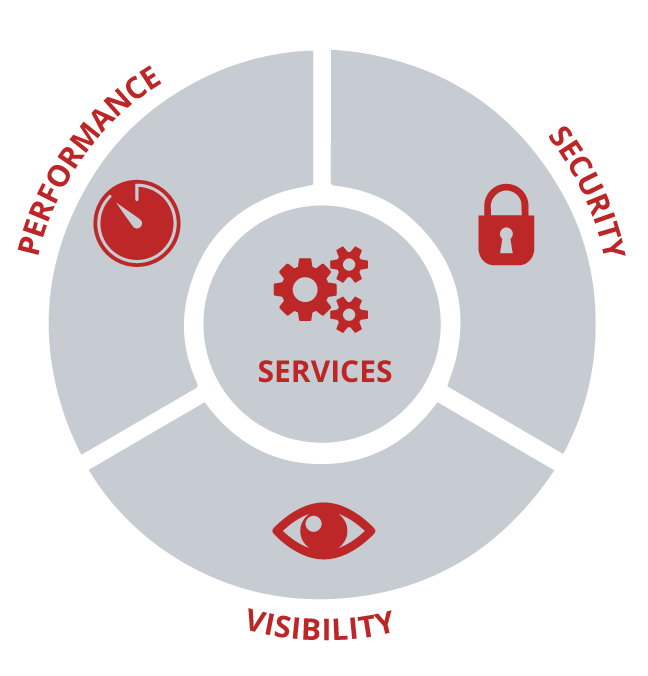 End-to-end visibility is necessary to both secure and meet the performance expectations of your IT Infrastructure. Having the visibility into data anywhere in the network spanning physical, virtual, cloud and SDN environments requires the right mix of solutions. Packet data alone is no longer sufficient nor does it scale in a cost effective manner to get the full picture. It requires a multi prong strategy that may include packet data, meta-data, SNMP metrics and log data. Click Networks has a diverse roster of vendors to deliver. Click Networks mission is to provide knowledge that enables and delivers effective cyber security and network performance insight empowering customers to evolve and innovate. We know that to be effective people, process and technology must work together.